Recruitment: Supervisors/Principal Investigators with funding for a Scholar can apply for inclusion of their candidate on the 2019/2020 Programme. 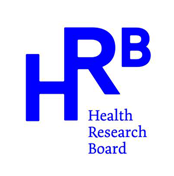 The SPHeRE programme provides a key infrastructure to support health research in Ireland through a unique and innovative PhD programme funded by the Health Research Board (HRB). This programme is expanding Ireland’s capacity to conduct population health and health services research and maximise its translation into policy and practice. The SPHeRE Network is Ireland’s largest population and health services research network connecting individuals working in research, policy and practice. We aim to facilitate opportunities for research activities which support the information needs of policy makers and health service providers. Through events and activities we proactively connect the individuals and organisations who produce and use health services research.